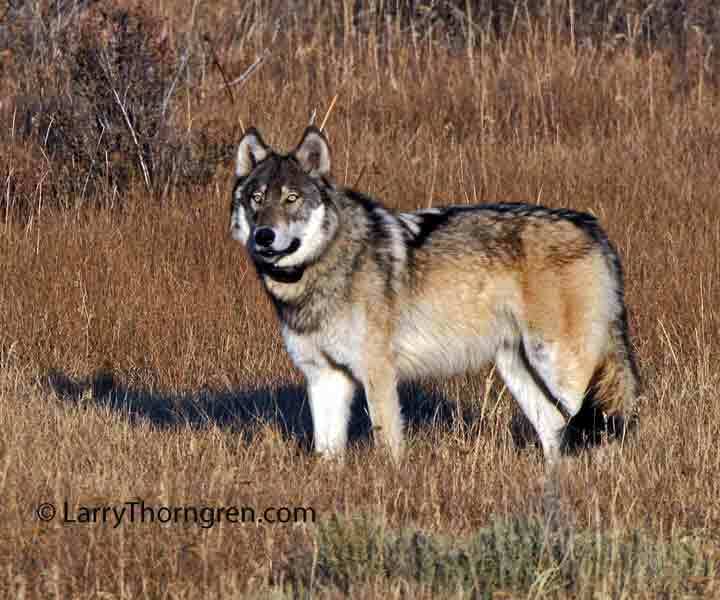 Larry's Wolf Photos to be used on The Bradford Exchange Collector Plates! 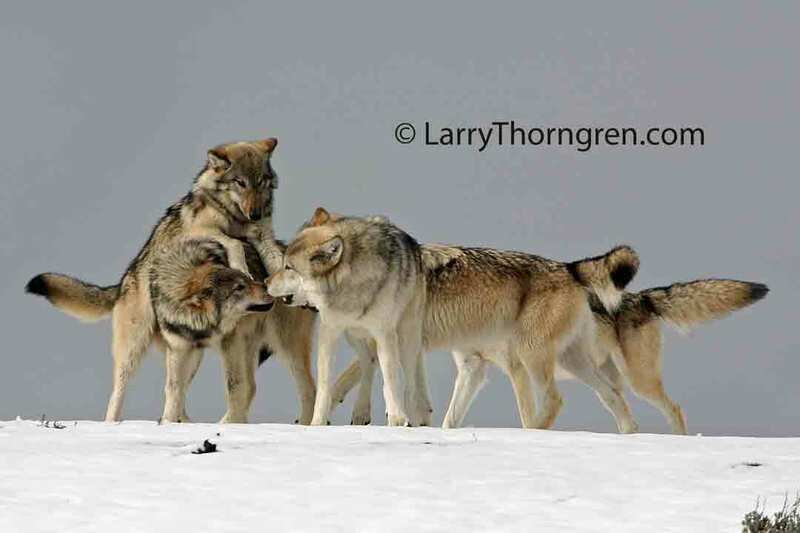 This photo of the Yellowstone's Hayden Wolf Pack playing along with 6 other of my Yellowstone wolf Photos will be featured in a set of The Bradford Exchange plate collection. This is the first time that wildlife photos will be used on their plates. I will provide a link from this blog to Bradford Exchanges' website when the plates are available for sale. The Idaho Fish and Game Department will hire the Department of Agriculture's "WildLife Services" to shoot 50 wolves from helicopters. This operation may start as soon as next week depending on the weather. Wildlife Services will use a spotter plane to locate the wolves and then call in the helicopter. Agents will shoot the wolves from the helicopter with 10 gauge shotguns with number 4 shot. Radio collared wolves, like the one in this photo, will be used to locate packs for extermination and then will be the last wolves killed. Wolves have pups in their dens this time of year and all pups will starve to death after their parents are killed. This is not scientific management, it is cold blooded murder. The idea is to save elk from the wolves so that hunters can kill them next fall. The elk end up dead either way. The wolves don't bother to buy tags and licenses from the Fish and Game so they are targeted for extermination. It is all about money. I was checking out old birdhouses around the area to see if I should fix them up. I checked on an old birdhouse that I put up many years ago that the squirrels had gnawed at and enlarged the entrance. When I knocked on the side of the birdhouse, I was pleasantly surprised to have this flying squirrel come out and pose on the tree trunk. It seemed very reluctant to go more than a few feet from the birdhouse. You can see the flap of skin that it uses to glide from tree to tree. I went and got a camera and took its' picture and then quickly retreated so as not to make the squirrel leave the area. It appeared to be a very pregnant female. 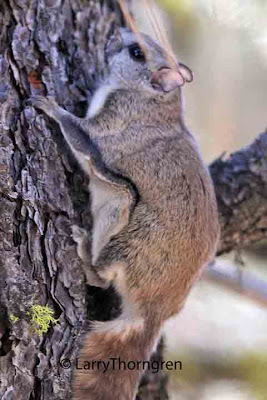 This is the second flying squirrel that I have found here in recent years. The first one was in another birdhouse and jumped out on my arm when I knocked. I am going to try to figure out how to see and photograph them at night.